There wasn’t many people like I expected it to be since I reached there at around 9pm on a Thursday. The place was air-conditioned so I don’t have to worry much about the heat. Usually, shops like these are all quite hot but this one was cool. My friend told me that they actually make the prata after you order, unlike other shops who just served you the ones that are made an hour ago. I ordered the Mango Lassi which cost $2.50 and it’s my first time drinking it. 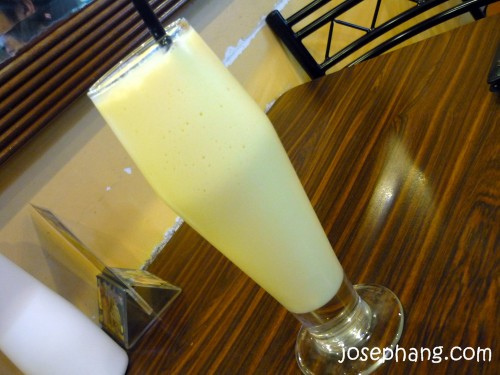 Lassi is a North Indian drink and it tastes like yoghurt. Actually, I think the main ingredient for Lassi is yoghurt. Well anyway, they also sell Sweet/Salted/Strawberry/Banana Lassi. First time drinking it, and definitely many more times to come. How can you go to a prata shop without eating prata? I ordered two plain ones which costed 90 cents each. A little pricey, but when you actually taste it, it’s worth the money. The prata here is nothing like what I’ve tasted before. It makes all the other prata you’ve eaten in your life taste like ****. Amazing! Coming up next was the Mutton Murtabak. They sell it in four different sizes (S, M, L, XL) and we ordered the medium one which costed $6. The medium size comes in a portion so large that two guys going through puberty had difficulty finishing it. I can’t imagine how big the Large and X-tra Large one would be. Nothing special about the Murtabak to mention here though except for the large servings. I got sick and tired of chewing it after some time. My friend said that the Chicken Murtabak tastes nicer. But I don’t intend to try it. 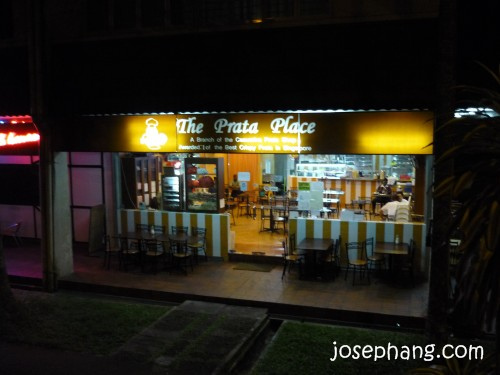 So, The Prata Place. First time there, and definitely many more times to come. wow, what a quick reply. thanks there! Ever tried to drive 1/2 an hour just for a prata. 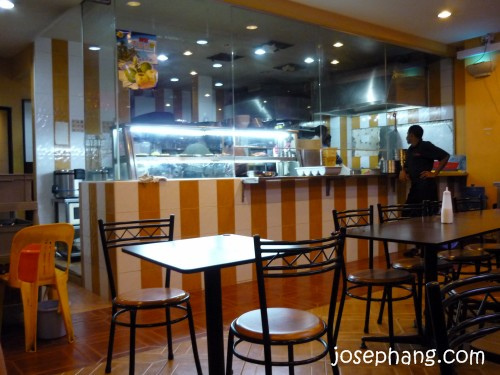 If you have eaten prata at the Prata Place, most likely you will know what I am talking about. Unless you are staying in Springleaf avenue, you will most likely take 1/2 an hour either from the Eastern or Western part of Singapore to get to the Prata Place. 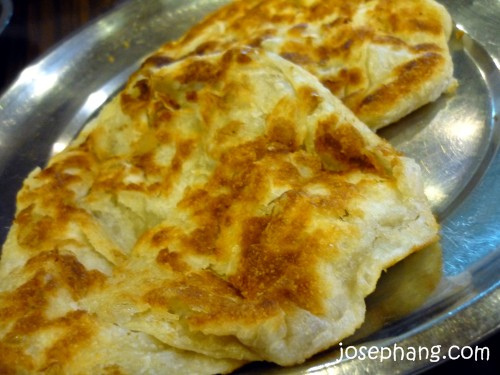 The prata is simply delicious; thin and crispy and at the right size. Tried the mutton Murtabak, garlic prata (nice) and the bomb prata. Opps... did I say bomb. Hope it is not a restricted word. Anyway, the bomb (again) prata is a mixture of sugar and milk, giving it quite a unique taste. Not for the faint hearted. The murtabak must be one of the crispyfying ones I have ever tried. Most murtabaks are soft and soggy. This one is flat and well filled with mutton. I ordered the small ($4) which is good for 2 persons. 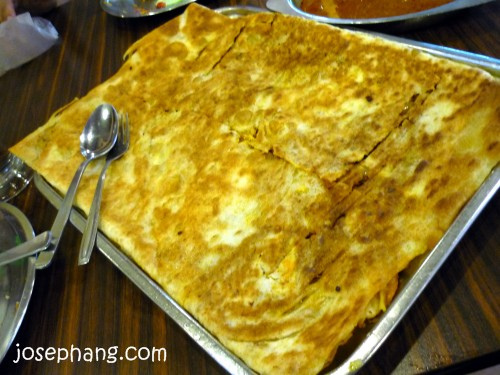 The have medium, large and extra large murtabak ($10) good for a family to soak themselves in murtabak. Might need 2 persons to carry the XL ones. One more thing, the person taking the order is one of the friendliest I have seen. Normally when people are busy, their muscles seem to forget how to smile. This waiter is different. He smiles like no tomorrow and even has time to play with kids and babies, much to the amusement of the parents. Anyway, his friendly disposition makes it easy to place re-orders or to ask for more curry. This is one of my favorite Prata place. Last time when I used to go jog at the reservoir (can't remember is it upper or lower pierce, but that's not important lah), The Prata Place is where I will go for dinner. Run and then eat prata! Ha! But who can resists their wide variety of pratas and the thin and crispy prata! My favorite is the Egg and Mushroom Prata, Chocolate Prata and their Mushroom Masala Thosai. I've tried their other food too, but they aren't that fantastic. So I go there solely for their crispy pratas. If you prefer the traditional non-crispy prata, I suggest you try their Thosai. Cos you might not enjoy the crispy prata lah. Oh and don't forget to their their Teh Cino too!